Oil prices fell one percent on Monday as signs of a strong recovery in U.S. oil drilling activity outweighed news that OPEC and non-OPEC producers were on track to meet output reduction goals set in December. 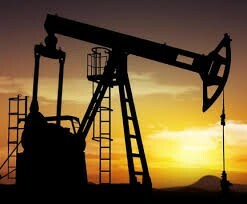 Global benchmark Brent crude prices LCOc1 were down 53 cents to $54.96 a barrel at 1026 GMT, while U.S. West Texas Intermediate (WTI) crude futures CLc1 traded at $52.61 a barrel, down 61 cents, or 1.1 percent, on Friday’s close. Ministers representing members of the Organization of the Petroleum Exporting Countries (OPEC) and non-OPEC producers said at a meeting on Sunday that of almost 1.8 million barrels per day (bpd) they had agreed to be taken out of the market, 1.5 million bpd had already gone. “A lot of this is already priced in and the U.S. rig count keeps rising and gathering pace,” said Carsten Fritsch, commodities analyst at Commerzbank in Frankfurt. U.S. drillers added most rigs in nearly four years last week, data from energy services firm Baker Hughes showed on Friday. This extends an eight-month drilling recovery and is supporting signs that U.S. production will continue to rise strongly just as other producers are cutting output. “Baker Hughes said that 35 new rigs were activated last week, fuelling fears of a significant rise in U.S. production which would offset the reduction by OPEC – and making a mockery of the Saudis’ claim that they had managed to break the U.S. shale drillers,” said Ashley Kelty, research analyst at Cenkos Securities. U.S. oil production has risen more than 6 percent since mid-2016, although it remains 7 percent below a historic high in 2015. It is back to levels of late 2014, when strong U.S. crude output contributed to a crash in oil prices.